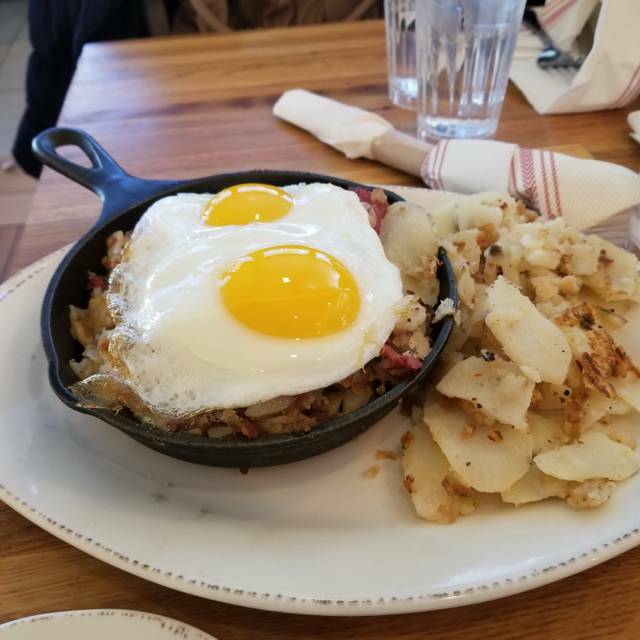 Whether you’re looking for breakfast all day, lunch, supper or drinks, at Iron Rooster you’ll find a new twist on traditional comfort food, legendary hospitality, and a real sense of community. Reservations are for main dining room only. We are unable accept reservations for the patio or the bar area. Please contact the restaurant directly for parties of 7 or more. Food was good, but menu was a bit too "cutesy" for me. I'm over 70. I think it would appeal more to the millennial set who want weird combinations. Easter breakfast after church. Food was great and came out fairly quickly. Makes for a "Much Better Than Normal" Sunday breakfast. Food is, of course, very good - with numerous choices that are sooo good you shouldn't feel guilty afterwards. But on this visit it was the service that made for a great experience. Imagine - service that included good conversation!!! I've hardly ever had bad service, almost always attentive service, but this time our server took just a little more time to talk to us after we initiated. It is so good to go to a place where you can so pleasantly interact with the people who make the experience more than just their job. I've been to IR quite a few times, and this was the first meal I've been disappointed in. I got a BLTE sandwich, and it was very dry, the eggs were skimpy, and the bacon was too crispy, almost burned. I will still go back because every other time I've had very good meals. Also the noise level was very loud. Out waiter Mike was amazing!!! He was so nice. We ordered the waffles which were good, and the waffle churros which were amazing. 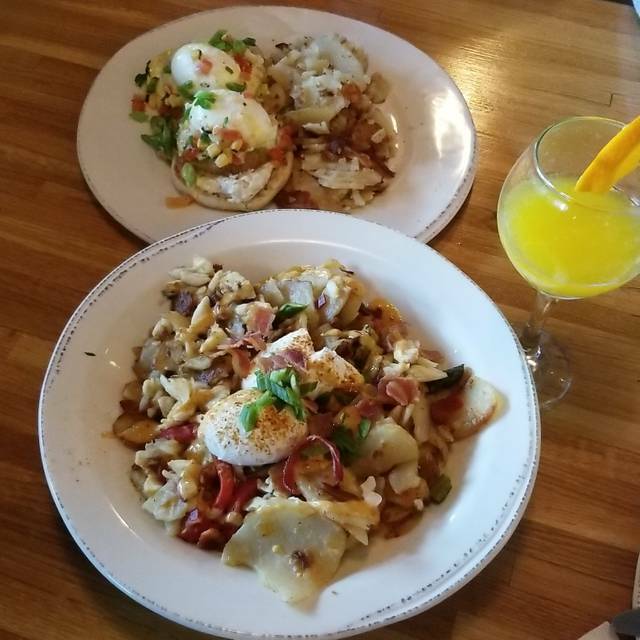 We found our new favorite brunch spot!!! Birthday dinner with friends. Service was excellent. Great food. Service slow! Had to wait for food delivery to ask for coffee refills. Very great everything! 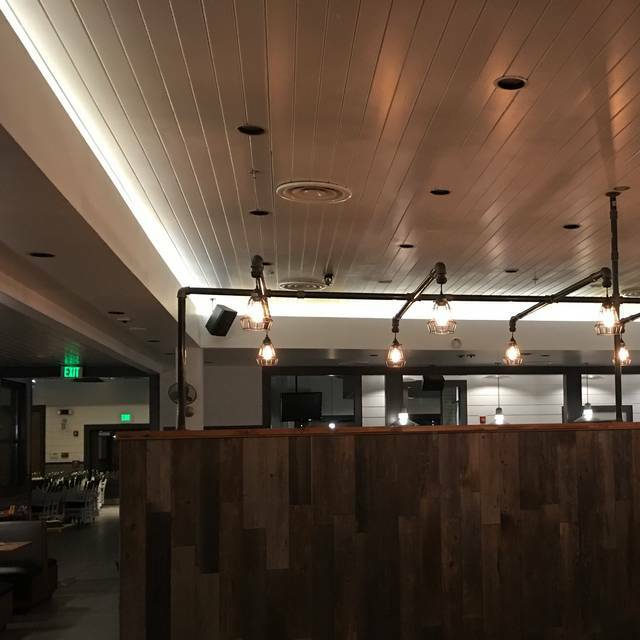 The food was amazing and our server was really nice and personable! We were seated quickly and the coffee was great! Nice family friendly restaurant. They have a children's play area outside so definitely a plus if you have kids. They are definitely big on breakfast/brunch with lots of choices. We went there for dinner and didn't have too much to choose from (unless you want breakfast food for dinner :) ) The steak frites was superb, my husband had chicken n waffles, didn't enjoy the waffles too much - bit soggy. You MUST try the red velvet waffle n ice cream dessert!!! It was the best part of our dinner. We had such a great time at Iron Rooster. 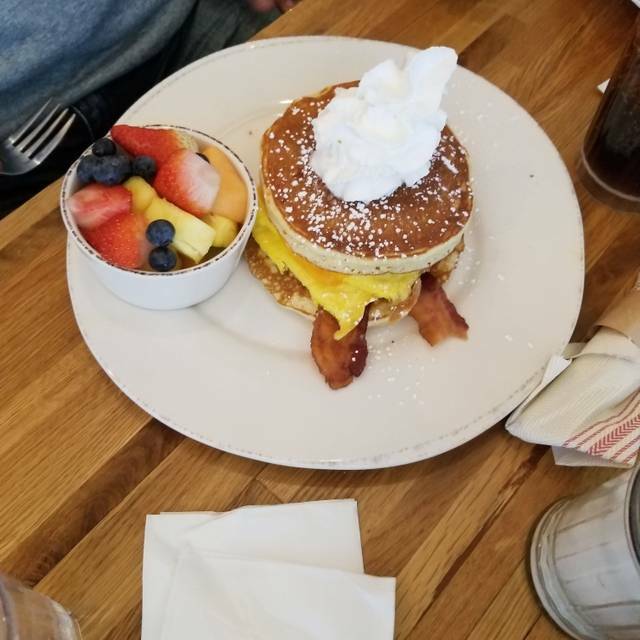 I like to bring friends and family here as a nice option for brunch and they didn't disappoint for my friend's birthday this past weekend. Our server (Kat) was fantastic, the food was delightful, and they let us hangout and laugh at our table for over two hours. Thanks Iron Rooster, we'll be back! Good breakfast place all day. The two best things we had were the Paloma (adult beverage) and the mixed berry poptart. I wouldn't go here again. Overpriced for the quality and quantity of food. Server was very friendly and explained dishes we had questions about. Efficient and attentive service. Breakfast all day is such a great choice to be able to have egg dishes during the day. Food is always good but it’s just a little loud when full of people. The food was good but dinner seemed to be smaller portions and French fries are inexpensive and should be a little move served with the meal. I will come back and try the food again. Food was fast as it usually is. Prepared well although the biscuit sandwich completely fell apart as I picked it up. Service was lacking today and it was rather quite in the bar area. After taking my order, the bar tender never came back to my table. I went to the bar and waited for 10 minutes. It was only after another employee told the bar tender I was waiting that he came by. He thought I was a new customer when he greeted me. Anyway, shape up guy! I don't want to hear what you did after hours from all the way across the room. Just be professional and and treat your customers well, no matter how busy or slow. Nice food but pricey. Very loud and busy. I wouldn't recommend going there if you are looking for a quiet and relaxing time. Would recommend for the good food, but it is a VERY noisy place. The hostess stand was incredibly unhelpful to start out the evening. Then despite saying the reservation we had was for 4 people, we were seated with only 2 menus and sets of silverware. The room was too loud, infact so loud the server could not hear an order and brought the wrong salad. By the time the order was corrected and the right salad brought, the other dishes were cold. Overall the whole experience seemed sloppy and careless. The food was delicious though. First time at an Iron Rooster. Food and service was really great. We split a Mixed Berry Pop Tart, which was very yummy! I had the Fried Chicken Benny....very good...highly recommend. The Mimosas were good, a little overpriced at $9. The only reason I did not give the Iron Rooster of Hunt Valley five stars was just that is was so noisy. :-/ When it's a packed house, you can hardly hear each other talk. First time there. Food was great, only issue was one appetizer (candied bacon) came out after the meal did. Wonderful restaurant! Great food/great service/fair priced! Our first visit. Nice vibes. Very pleasant. Service was slow because waitress put the wrong order in. She apologized but still took a long time. Didn’t offer to comp anything. Would have been gracious. We’ll give it another try. Super kid friendly place. Staff was great! Would definitely come back. One of the most enjoyable dinners out I have had in awhile with our toddler. They serve breakfast all day, which our daughter loved. Highly recommend for families with kids. 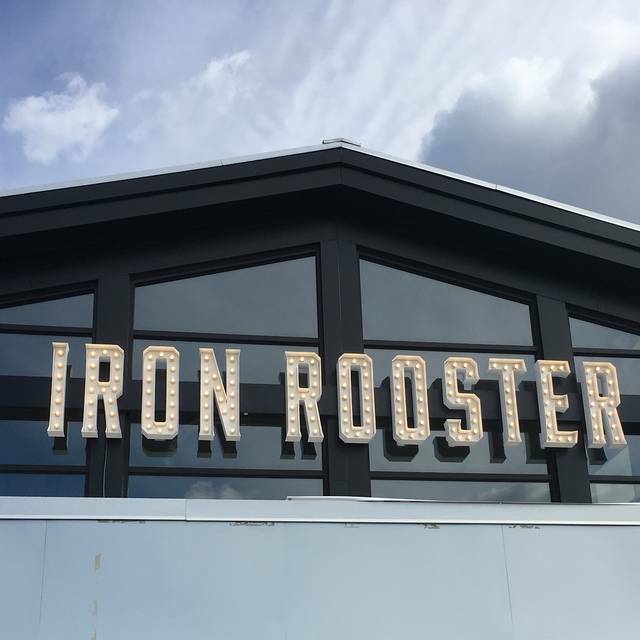 This was the first time for us trying the Iron Rooster. The service was great, and the food was out of this world. We really enjoyed the entire experience. We will be back. This was my first time here. I had made a reservation the day before and I'm glad I did. This place was packed. It was EXTREMELY loud the entire time we were here. Children running around all over the place unsupervised. We were seated quickly and was sat at a dirty table. We ordered hot chocolate. For $3.25 a cup, I would expect more than the Swiss Miss powdered garbage they give you. I had the big Brunch bowl that had bacon, ham, chorizo, grits and poached eggs. It was delicious but the food wasn't hot at all. My lady had the brie stuffed French toast. It was ok but the brie gave it an odd flavor and took away from the sweetness of the French toast. There were lots of options on the menu that looked good. Breakfast is served all day. I would go back and try other options. For two of us the bill was almost $41.00. Kind of pricey for luke warm food and nasty hot chocolate. But I would give it another chance. We have an incredible experience. Food was ok but the service and management were phenomenal. Made the entire experience. Food was good; we were celebrating a birthday and I called the restaurant as well as spoke with the hostess and provided a candle, however, I still had to remind the what staff (in front of the birthday person) since desert was delivered without the candle. We loved our first visit! I was glad we had made a reservation (though we still had to wait 20 minutes). Food was very good (my Reuben only had kraut and cheese on 1/2 of it and there was no thousand island at all) but the corned beef was the most delicious I have ever had. Servers were extremely nice and prompt. The noise level is very high, couldn’t hear the other people at my table so that is something to keep in mind. Looking forward to our next visit there! 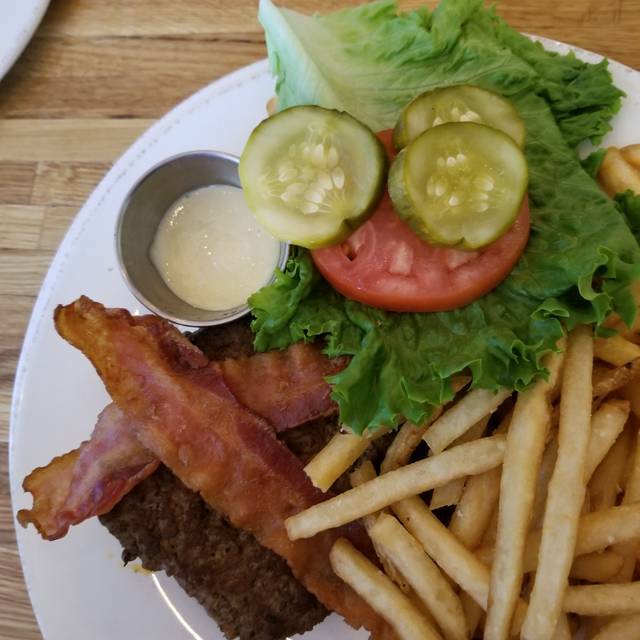 Every time I have been to the Iron Rooster, the food is great, the staff are very friendly and professional as well as timely. This is my new favorite restaurant by far. Always have a nice time...food quality could be a little better. Very yummy breakfast food-love that it’s served all day! Service and food were excellent. I think the prices are high. Great meal! Our server, Olivia, was great! The food, fried chicken eggs benedict, spicy pig omelette and french toast were all excellent. Only issue was how cold the restaurant was - we were seated at a booth by the windows and there was cold air coming in by the floorboards. 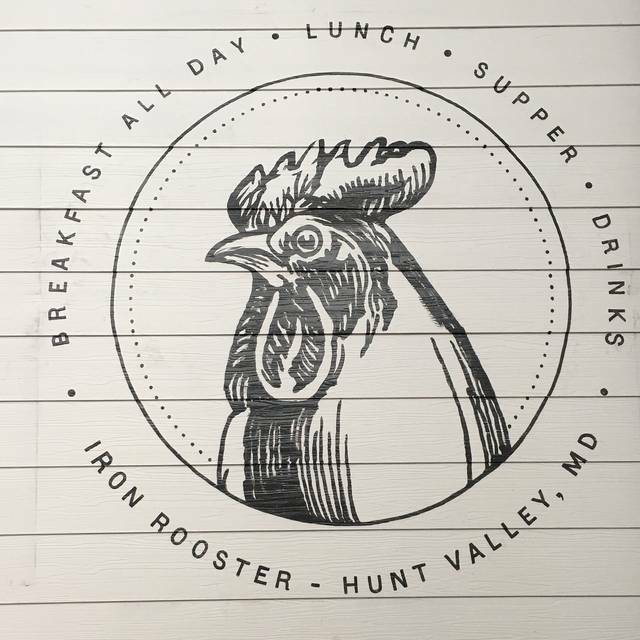 We really enjoyed Iron Rooster! Had breakfast and each of our meals was great. Staff was friendly and attentive. Highly recommend the Crab Cake Benny! 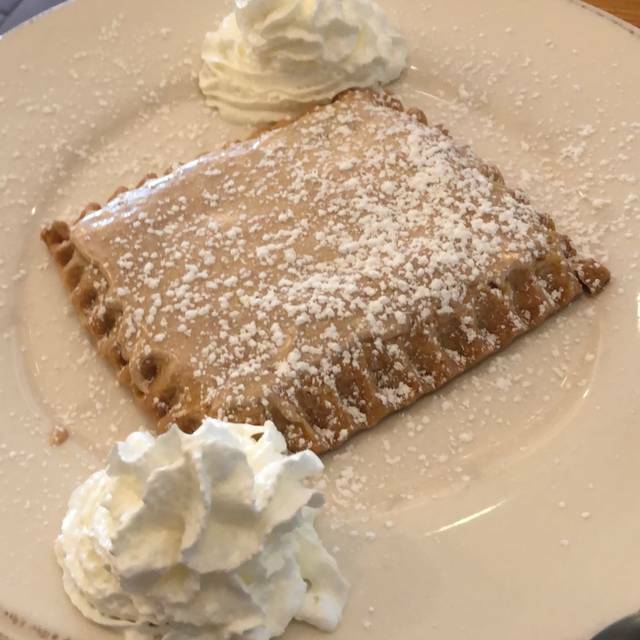 I heard the homemade Pop Tarts are awesome, but we didn't try them this visit -- plan to next time. Went around 8:30am and we were seated immediately. Will definitely be back. 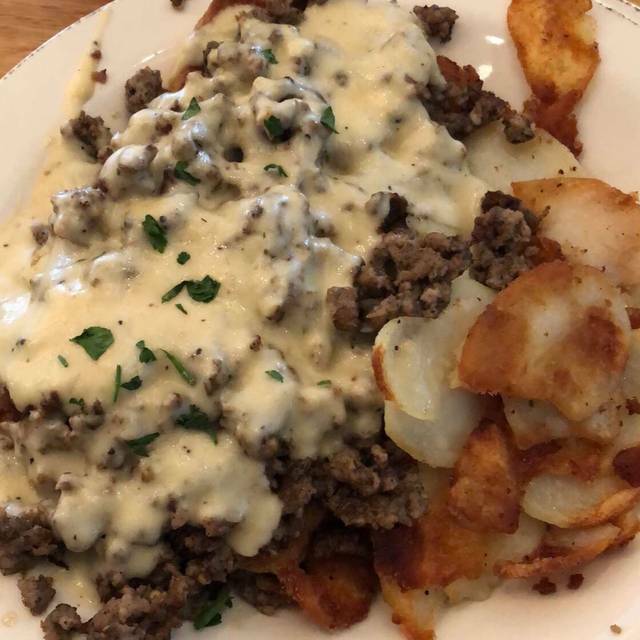 This may become our weekend breakfast go-to spot.